The Tako family is currently traveling around Japan for the month of October, and we’re blogging about our travels. In earlier posts from this series I covered where we’re staying, a mini-trip to Wakayama, how to eat affordably in Japan, and visit to Taketori Park. Mrs. Tako and I have always wanted to visit Okinawa, and our financial independence finally brought this bucket-list worthy location to fruition! Surprisingly, it really wasn’t all that expensive! Initially, when planning our mega trip to Japan, Mrs. Tako and I scratched-off going to Okinawa. It seemed too far away and too difficult to be one of our “mini-trips” around Japan. 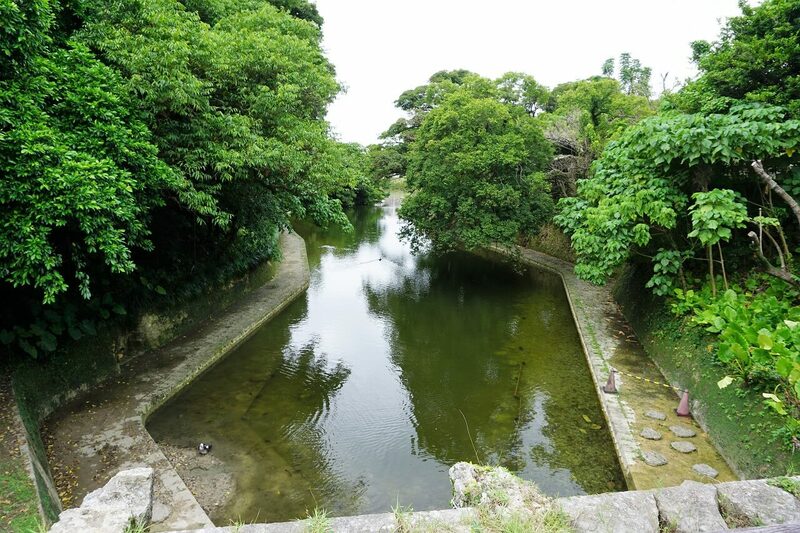 Then, fortune changed our course — One of our relatives who lives in Japan found an excellent package deal to Okinawa. 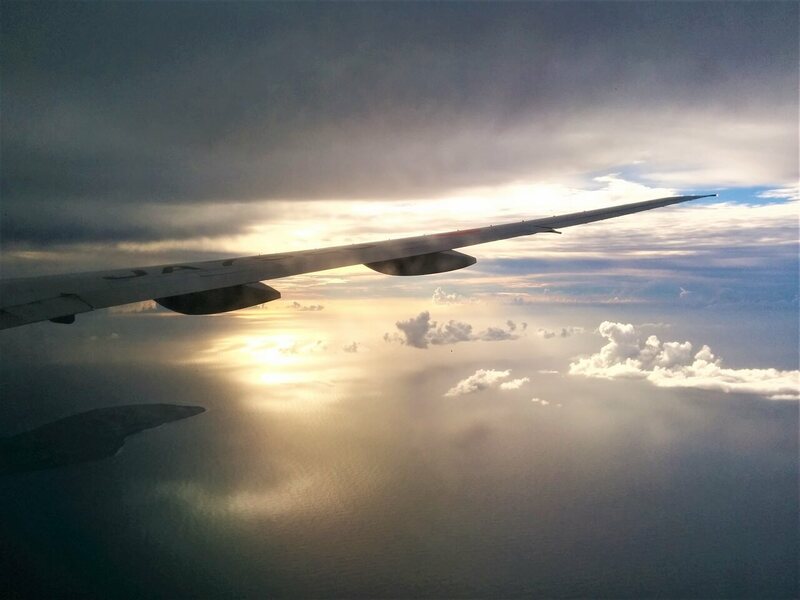 We suddenly found ourselves on a flight heading south to the Ryukyu island chain — the tropical part of Japan. This package deal included 3 nights in 3 different hotels (at different locations around the island), a rental car, 2 nights of included buffet dinners and 3 buffet breakfasts (typical for Japanese hotels) — all for 60,000 yen (about $535 USD). This seemed like a pretty good deal, considering discount flights from the Osaka area start at $100, and a rental car costs about $130 for that same time period. 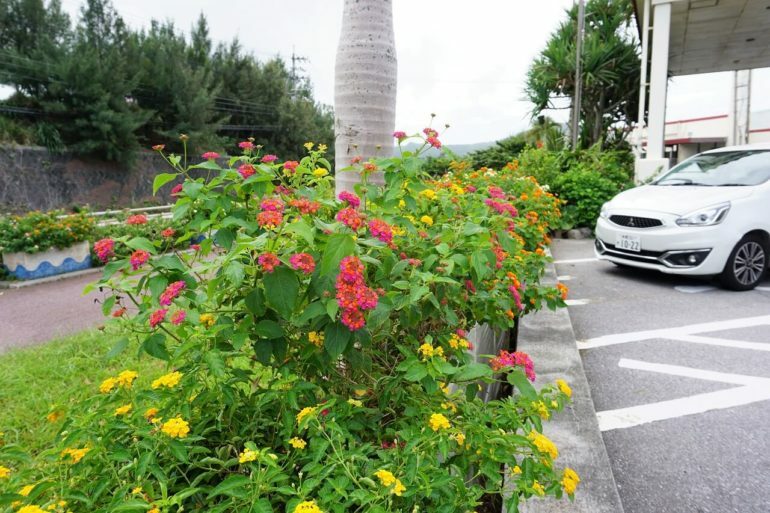 Unlike other parts of Japan, driving is almost required on the island Okinawa. While Naha does have a monorail, the island lacks the extensive rail network found in other parts of Japan. 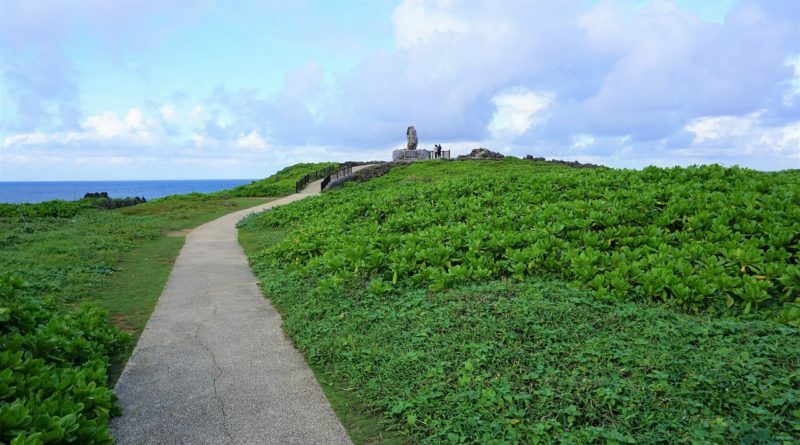 You need to drive to see stuff on Okinawa! Our rental car was this spiffy Toyota Allion. The car was equipped with a start-stop system which stopped the engine every time we stopped at a traffic light, and restarted the engine when I took my foot off the brake. This sort of system is very common in Japan, and it makes for a very efficient vehicle. We drove all over the island and spent only $30 in gas during our stay, so this was a pretty cheap way to get around. 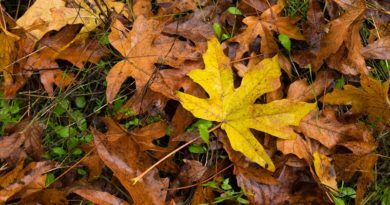 Initially I was freaked-out about the prospect of driving on the other side of the road, but after about a day I was no longer turning on windshield wipers when I tried to use the turn signal. 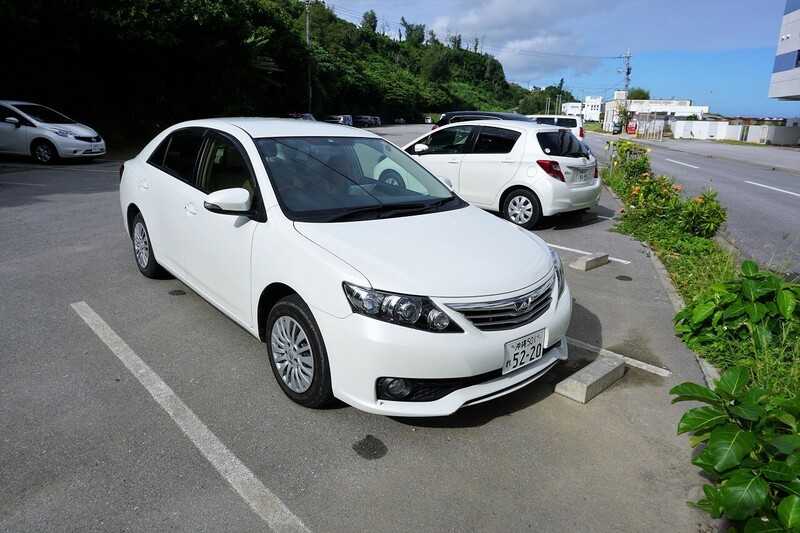 To rent a car in Okinawa, an international drivers permit is required. We picked ours up for $22 from the local AAA office before we left home. Let’s start by talking about Okinawa’s climate. Unlike the rest of Japan, Okinawa is warm. Really warm. When we arrived on the island I could literally feel the humidity as I stepped off the plane. It was like a wave of moisture. It’s way more humid than Hawaii, and lacks the tradewinds that keep the Hawaiian islands cool. Okinawa really feels like a tropical hot-spot. 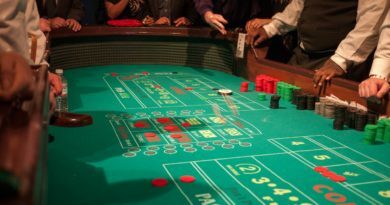 As a result, the island is green — really green! 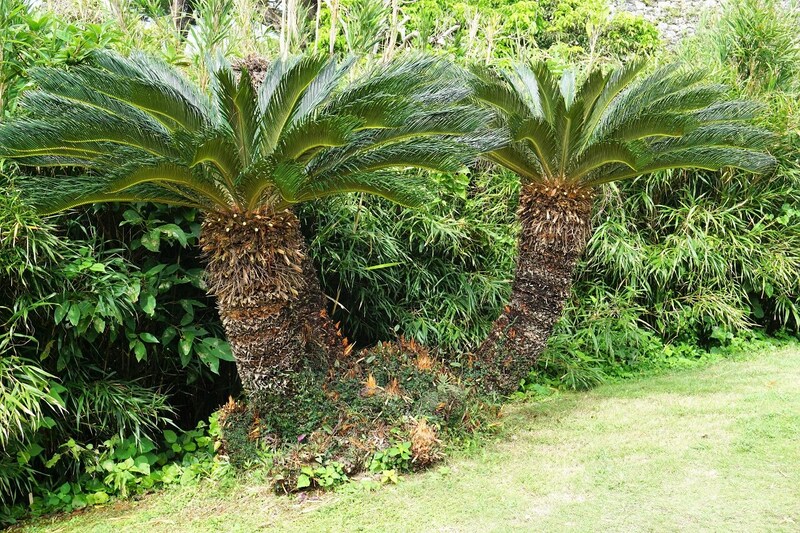 Plant life absolutely flourishes in Okinawa. Did I say everywhere? Yep, I meant it! Everywhere we looked there was flowers, fruit, and tropical green stuff growing. 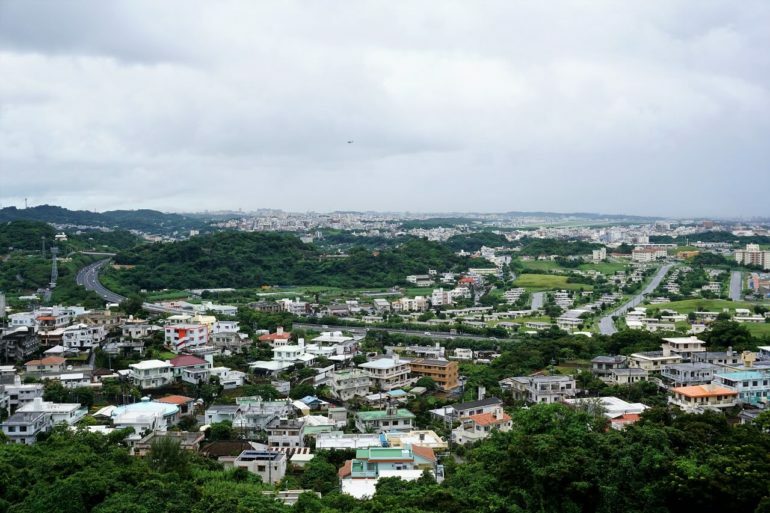 Unfortunately that same wonderful tropical climate that makes everything lush and beautiful has the exact opposite effect on Okinawa’s architecture — frequent typhoons, and tropical rain storms mean most modern buildings are made from concrete. This is often covered in grime and peeling paint. It looks a little ugly. The city of Naha looks a little nicer than the rest of the island, but outside the city things look a little shabby. It’s completely understandable of course, Okinawa is a tropical island! The heat and water eventually take their toll on all manmade structures of any significant age. It would be unfair to expect every building to look spiffy and clean. If you can get past that general sense of “it’s a little shabby”, we found Okinawa to be a fascinating place — Not quite like the rest of Japan, but with elements of Japan, China, and the United States all blended together into this ultra weird fusion of all three countries. For the first two nights of our stay in Okinawa, our hotels were at beach-side resorts…and OMG the beaches of Okinawa are spectacular! Do clear turquoise water and fine white sand sound nice? I shot this photo one early morning from our hotel room and you can easily see to the bottom. It was like that nearly everywhere around the island. 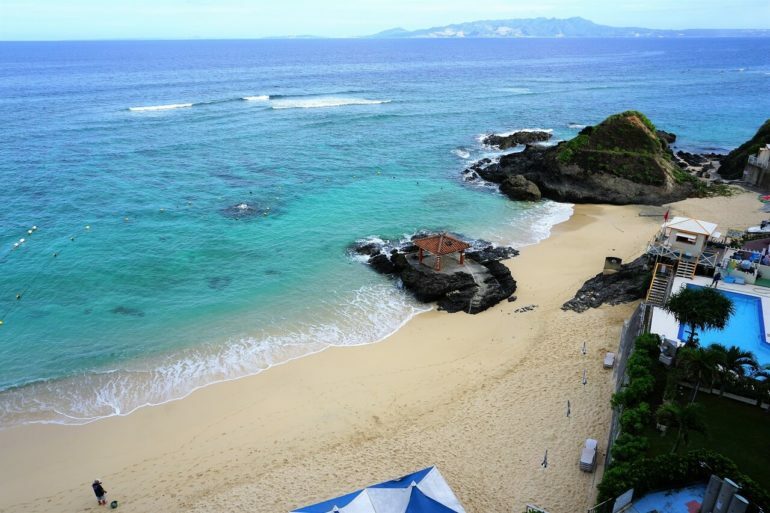 Yes, it’s safe to say Okinawa has really beautiful beaches. 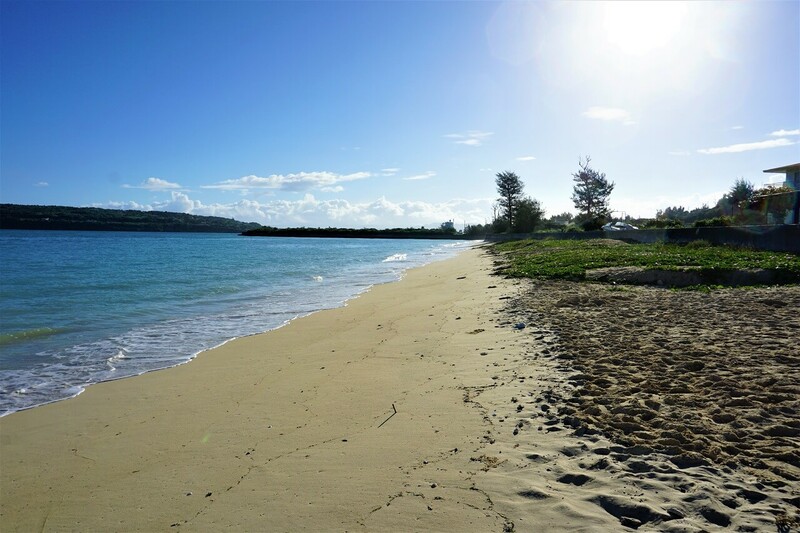 The beaches were easily on-par with those you’d find at other tropical resort locations (like Hawaii), but here’s the best part — The beaches were basically devoid of tourists! Wow! I don’t know if it was just the time of year we were visiting, but there were hardly any tourists on the beaches. This is totally different from the madness of places like Waikiki, where there’s barely room to walk. Did I mention how beautiful the water was? It was absolutely f*king gorgeous! During our stay on Okinawa we kept comparing it to Hawaii, over and over again. For good reason too — Okinawa is basically Japan’s version of Hawaii. As a whole, it feels way less touristy than what I’ve seen from Hawaii in recent years (we went on a trip to Hawaii last year), and the prices are generally quite reasonable. 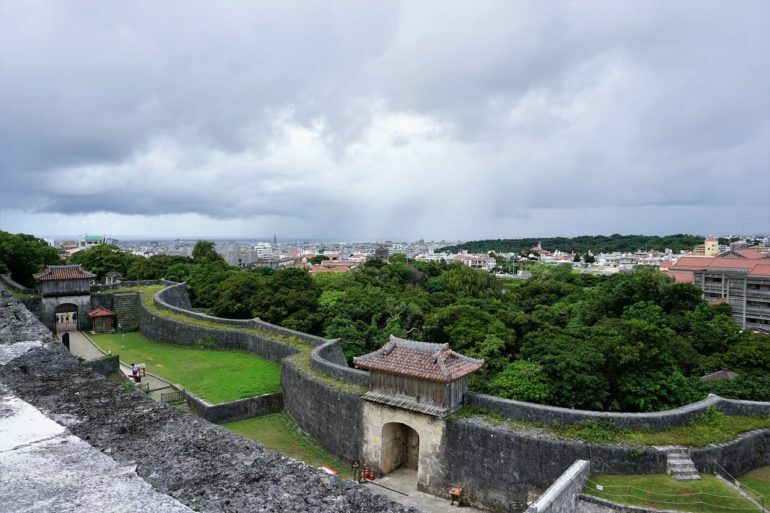 Before Okinawa became part of Japan, it once was once a separate kingdom, called the Ryukyu Kingdom. 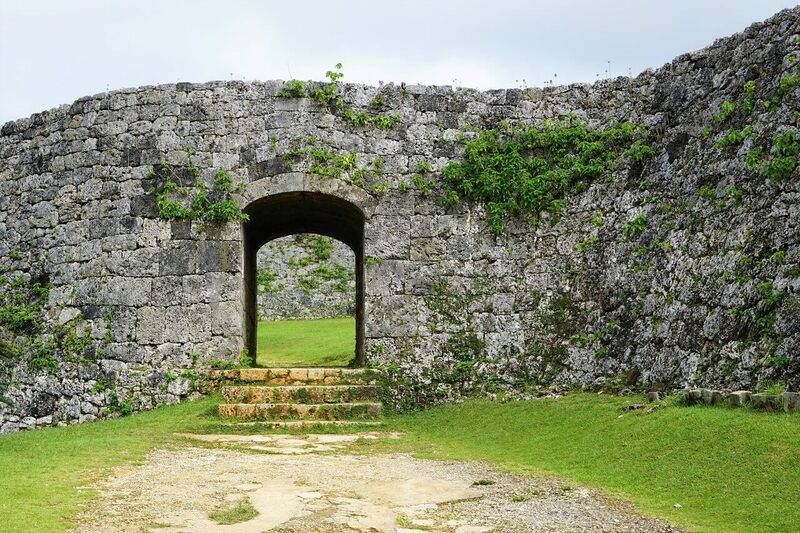 The Ryukyu kingdom was wealthy due to frequent trade with China, Korea, and Japan — and huge castles were built all over the island (as a result of that great wealth). At one point, there was a reported 220 castles on the island! Many of the ruins are still around today. Five of these castles are UNESCO World Heritage sites, and many of them charge a small fee to visit the ruins. I’m not big on tourist fees, so during our short visit to Okinawa we opted to visit two castles — Zakimi castle (which doesn’t charge admission), and the main event — Shuri Castle, which charges 820 yen per person ($7.32). 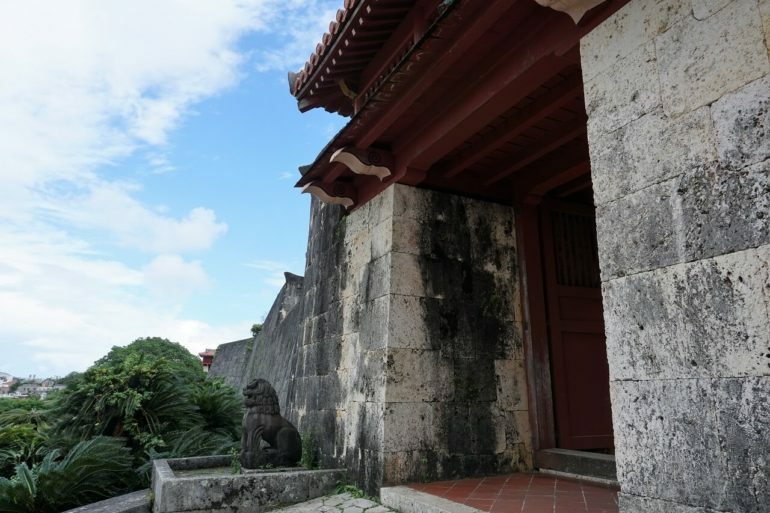 Easily the best castle on the island, and probably the most visited tourist attraction on Okinawa, is Shuri Castle. Despite being mostly destroyed in World War II, the castle and it’s grounds have been lovingly restored. We were lucky enough to visit when the front of the castle was being re-lacquered (yes, it’s all lacquered wood on the outside). The perfect time to visit! Unlike the exteriors of Shuri castle (which looked vaguely Chinese), the interiors looked more like an ancient Japanese castle. The castle itself is located in the heart of downtown Naha. We caught some great views of the city from those castle walls. 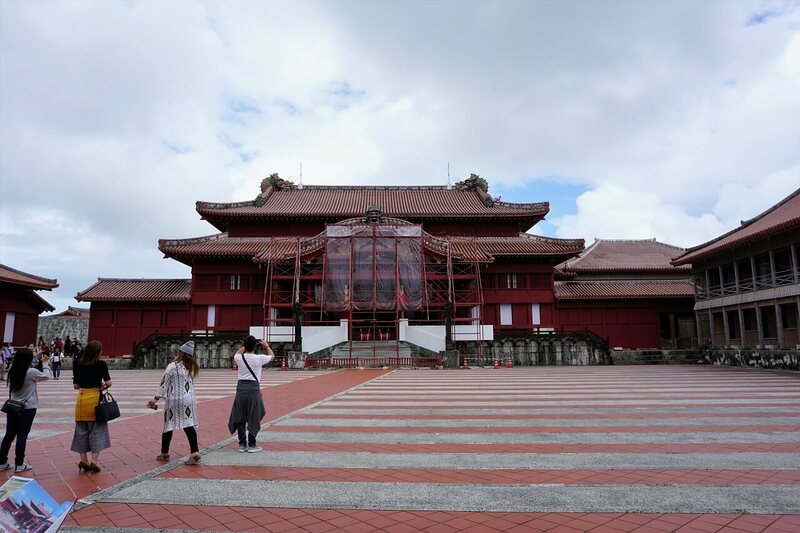 Over the years we’ve visited many castles in Japan, and Shuri castle was easily in our top 3. 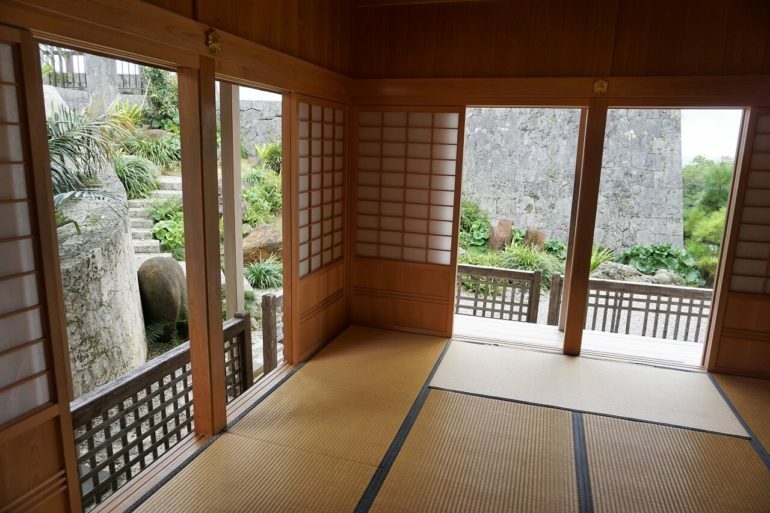 Some Japanese castles might look nice on the outside, but they’re just like office buildings on the inside…a really fake feeling. Shuri castle is different. Even though it’s been rebuilt, the castle feels so much older and more “real” than some I’ve seen in Japan. It really gave the place a sense of history. If Okinawa has a mascot, it has to be the Shisa. These stone figures were once used as a kind of gargoyle. 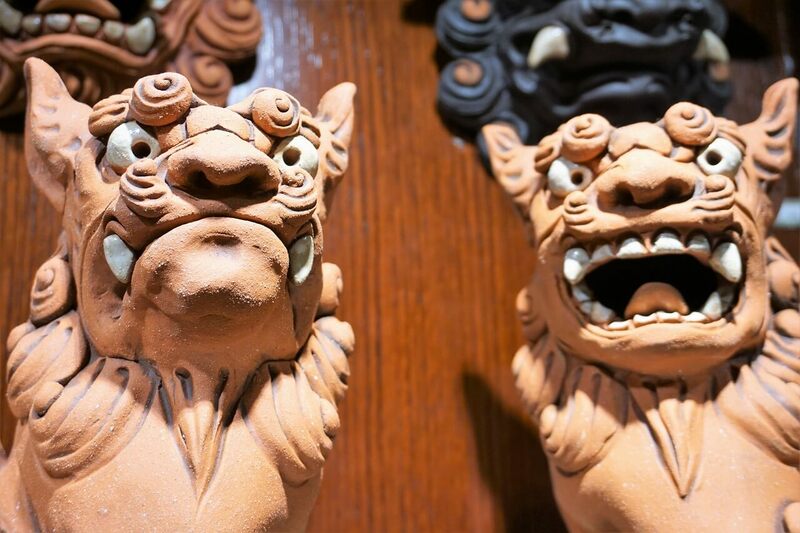 Traditionally shisa were placed on rooftops and doorways to ward off evil spirits… but now they’ve become something more to the island. They’re embedded into the local culture in a way I’ve never seen before. 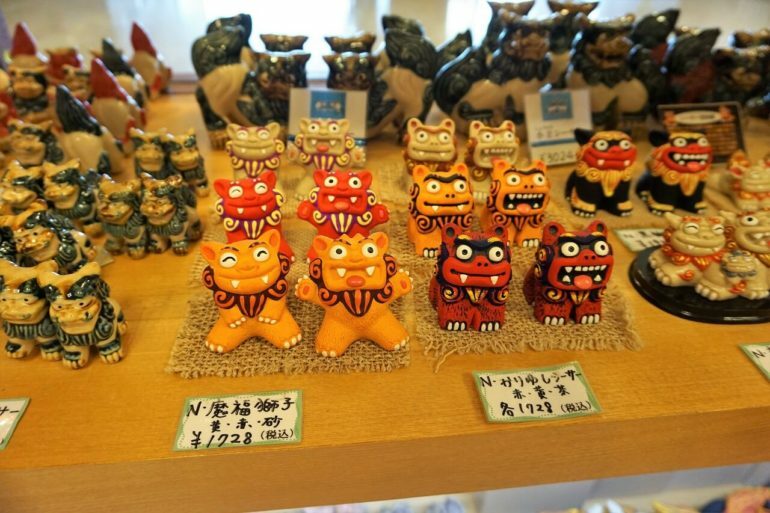 The best way to describe shisa is a kind of mascot, but that still doesn’t capture how pervasive these figures are on the island. 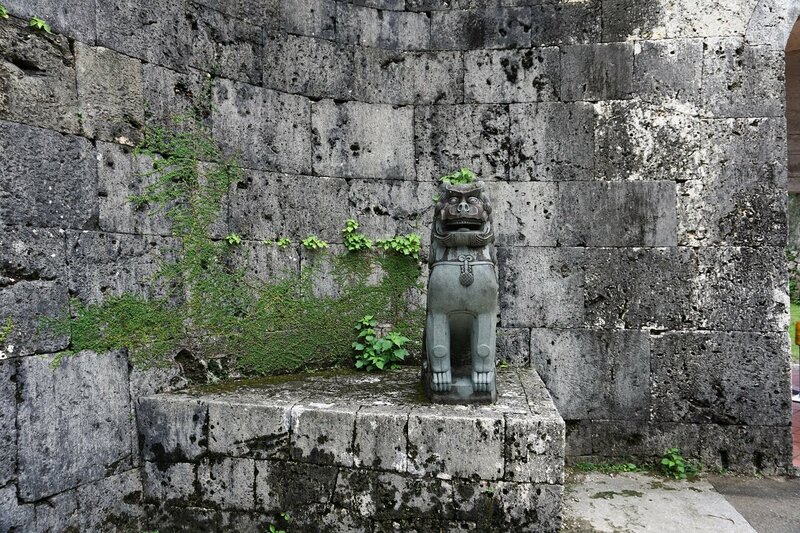 Shisa can be found everywhere on the island! 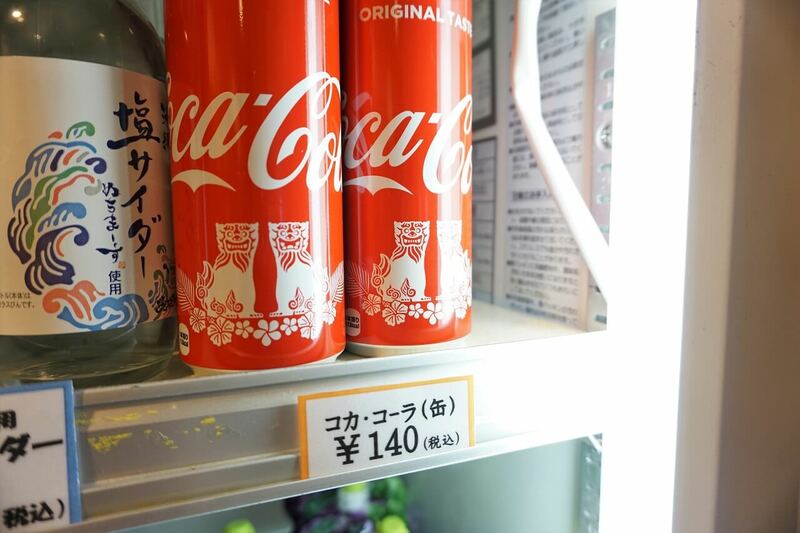 Hell, even Coke was into the whole Shisa culture thing. Interestingly enough, the figures always come in pairs — one with the mouth open and the other with a closed mouth. Supposedly one of these dog-lion hybrids keep out evil spirits, and the other keeps in good spirits. It was entertaining (to say the least) to look for shisa all over the island. OK, so you’ve probably heard that Okinawans are some of the longest lived people in the world. 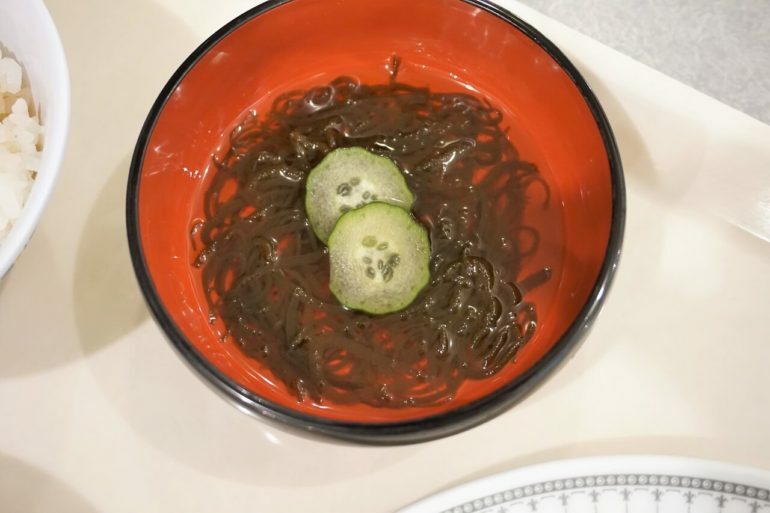 Much of that longevity is often attributed to their unique diet, which allows many Okinawans to live past the age of 100. But I’d be totally lying! 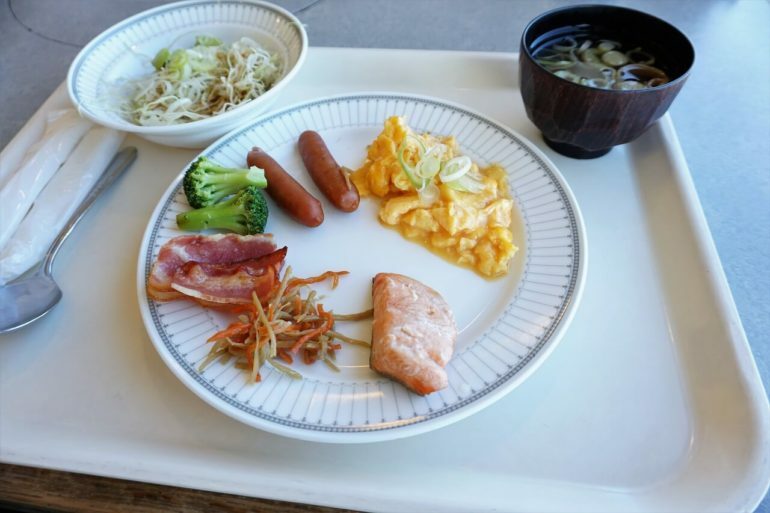 This breakfast spread was meant to cater to Japanese tourists rather than someone looking for traditional Okinawan cuisine. Looks pretty bland huh? 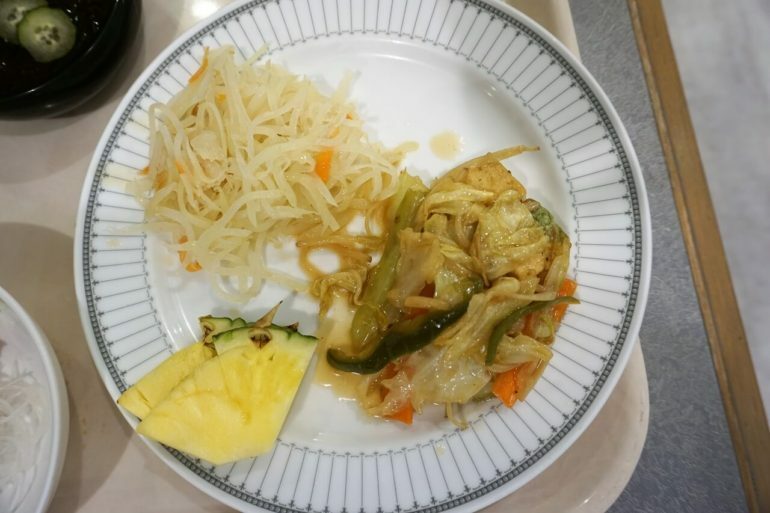 Stir-fried vegetables (usually involving carrot or cabbage) and tofu are extremely common, and frequently include bitter melon as an ingredient. 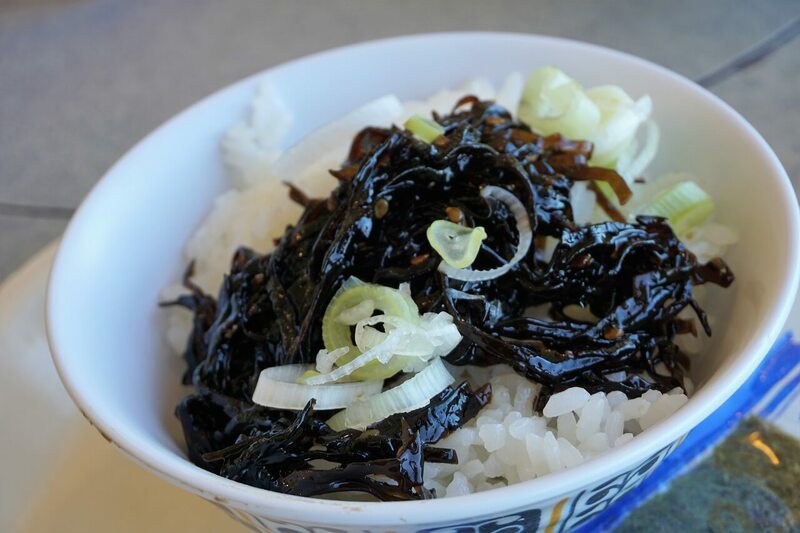 The traditional Okinawan diet (from my perspective) is heavy in vegetables, and seaweed. There’s plenty of tofu, but very little meat. One of the more common seaweed dishes we had during our trip was called Mozuku, which is this brown seaweed in a light vinegar sauce. 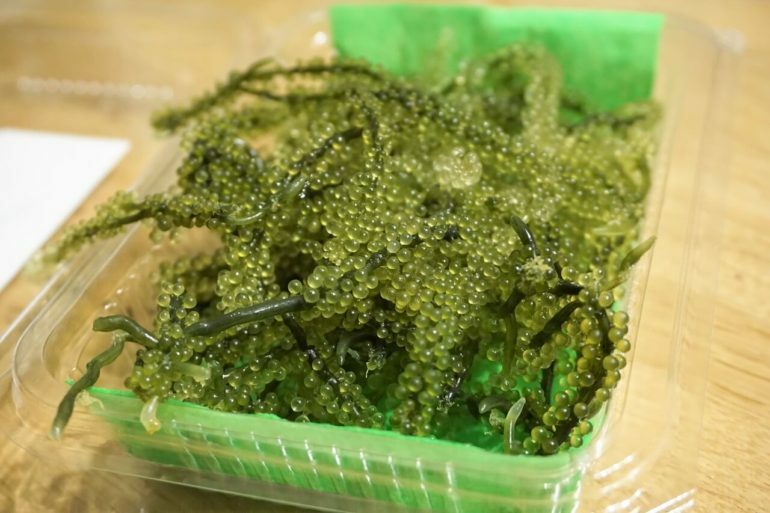 There are other kinds of seaweed commonly eaten on Okinawa too — this one was called “Umibudo” or “sea grapes”. It had an extremely delicate flavor, and was ever-so-slightly salty. While it’s said that Okinawans eat a lot of pork and spam, this was surprisingly rare during our visit. I expected there to be pork in everything from the accounts I’d heard, but it wasn’t actually that common. I think we only ate two dishes with spam, and only one instance of Rafute. One of my favorite Okinawan dishes had to be this “Soki Soba“, which is soba in a pork broth. Soki soba was excellent! From the descriptions I read, I expected it to be a fatty mess but the flavor was delightfully hearty. Fish is actually more rare in the Okinawan diet than the rest of Japan. They don’t eat sushi or sashimi in traditional Okinawan cuisine. In fact, “small fish” seemed to be more commonly prepared. 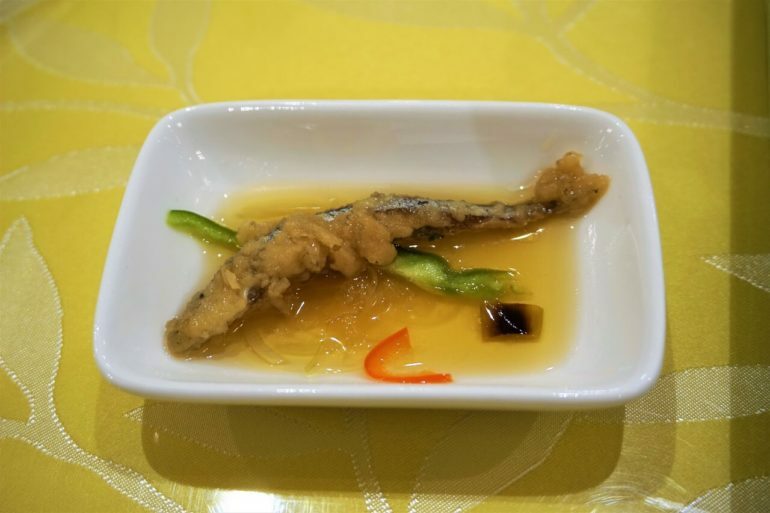 This little fried anchovy-guy tasted terrible. If there was a common theme we saw to traditional Okinawan cuisine, it would have to be a lot of vegetables, tofu for protein, and seaweed. We had those 3 components in every single meal. 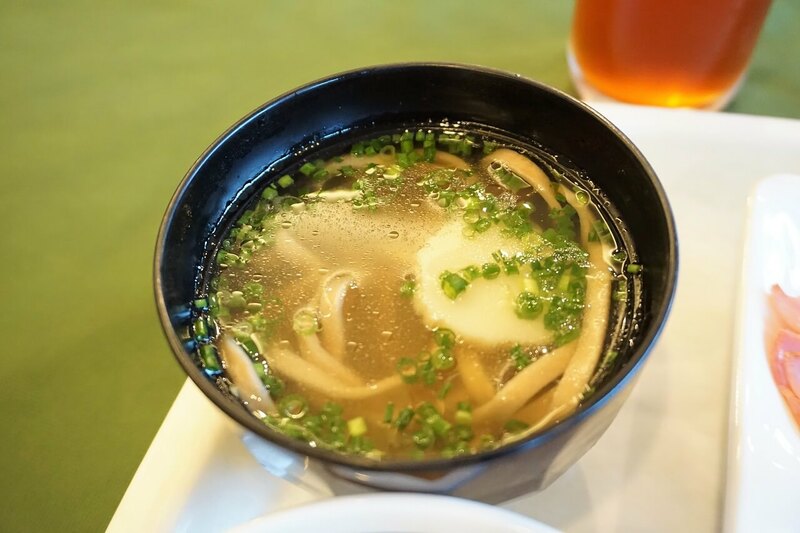 Modern Okinawan cuisine is much more Westernized due to the large U.S. Military influence. There’s fast food shops all over the place, and this probably has a lot to do with why Okinawan longevity rates are dropping. 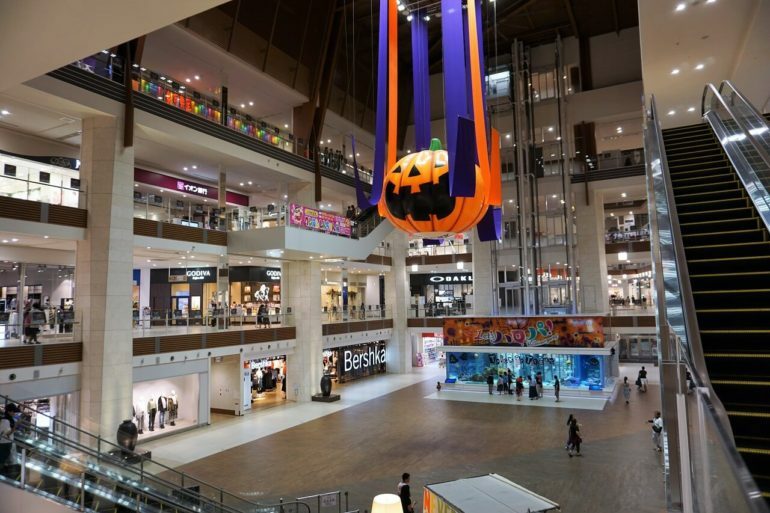 Just for kicks, we stopped in at the newly opened Aeon Mall to get a taste of the “new” Okinawa. This was a really weird experience — this mall was just like walking into a mall in the United States. The place was absolutely HUGE… nothing like the shopping malls I’ve come to expect in Japan. Not only that, but roughly 50% of the stores were Western brands. While we were at the mall, we had to try some of that modern Okinawan cuisine — “Taco Rice” is easily the most iconic dish. Finding some wasn’t hard. The chips on top (I believe) are crushed Nacho Cheese Doritos. Weird, yes… but it tasted pretty darn good too! It’s basically all the elements of an American taco, on top of rice. Usually salsa, or tabasco sauce are used for heat. Being able to find tabasco, and habanero sauce as toppings in Japan threw me for a loop…Japanese food usually isn’t spicy! 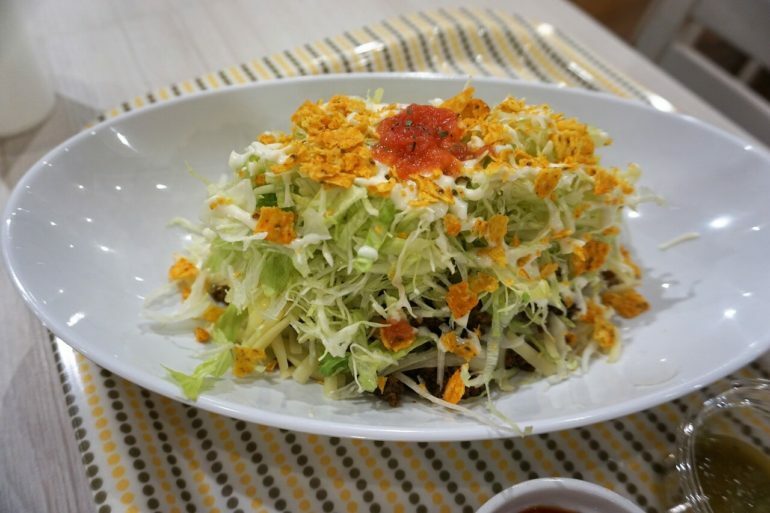 Taco rice is a good place to end this post because the dish sums up Okinawa in a magnificent way — The island is a fusion of so many different things. From the beautiful beaches to the ancient castles, the healthy traditional meals and tasty junk food, Okinawa takes fusion to a whole new level. While some travelers might find this disconcerting, we found it charmingly weird. If anything, Okinawa was constantly surprising us. 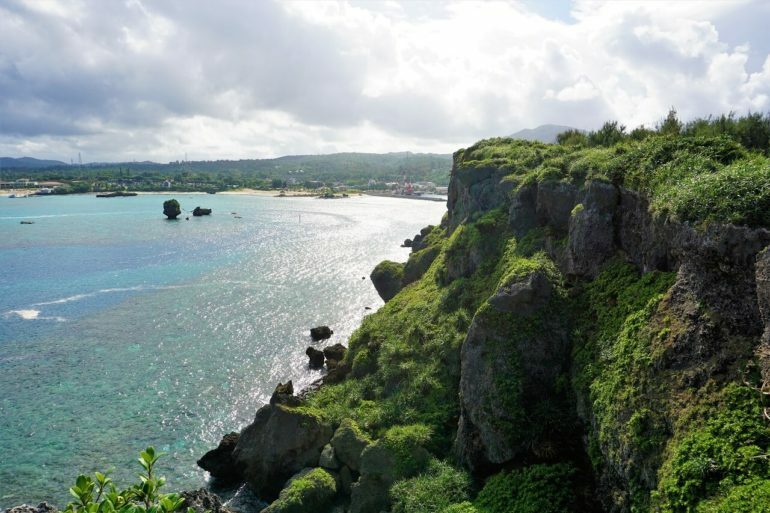 Just when we thought we understood Japan, Okinawa showed us a whole new side to this island nation. I really wish we could have stayed longer and explored some of the other islands, but unfortunately our stay was limited by the package deal. I have a sneaking suspicion we’ll return again someday. I am glad you and your family are enjoying your time in Japan! Thanks Mrs. AR! We’re having a great time! It’s almost like “the real world” doesn’t exist being on vacation for so long. Okinawa is absolutely beautiful! I had a Japanese exchange student from Okinawa in college. I still remember she drew a map of Japan on a piece of paper to show me where the island is. I can always count on you for some kind words Ms. FAF! Thank you so much for always being so nice and positive about my posts! The package deal was posted in a local newspaper. It was some kind of October promotion. I don’t recall the name of the travel agency, but I can get it for you in the morning (it’s late at night here). 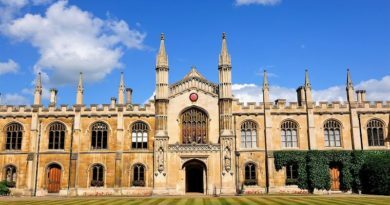 It’s also worth checking out packages from Kayak or Expedia. I priced out different packages and those “American friendly” sites usually were only about $100 more expensive (or so). Thank you for always responding to my comments, Mr. Tako! No need to rush on the travel agency. I was just wondering since I definitely don’t want to miss out on good deals if they’re floating out there somewhere hehe. I didn’t know about the deals on Kayak or Expedia. Great tip! We had a really fantastic time Joe! The food was different and interesting (but still quite good! ), and there was plenty of Japanese fare around too (just in case stir-fried veggies aren’t your thing). I think you’d really enjoy it! 🙂 The price from Tokyo to Okinawa can be as low as $100 on a discount airline, and nice four star hotels can be found for under $90/night. Thanks for the wonderful trip report. I’ve been wondering about visiting Okinawa for some time now and will have to give it some consideration. How were the ocean water temps? Did you get in for a swim? I got in the water for a little while, and it was maybe a little cooler than Hawaii. Frankly it felt really nice to cool off from the heat and humidity in the water. This is October of course, hardly the hot season. Unfortunately we were there right just before Typhoon Lan hit, so the rain kinda limited our beach time. Sold! We’ve been thinking about Okinawa for a while, and we’ll probably add it to our next trip based on your review. Hokkaido is my favorite place in Japan (it’s everything great about Japan, but less metropolitan), and it sounds like Okinawa is similar spirited. Did you visit Churaumi Aquarium and see your fellow octopuses? It’s supposed to be #1 in the universe. Yep, one afternoon it rained a lot and we decided to find some “indoor” activities. The Aquarium was pretty cool, and the whale sharks were gigantic. It was a little expensive and a little crowded for my tastes. Amazing pictures ! I didn’t realize Okinawa was so tropical. You will have great memories with your family. Thanks for the updates. visiting a client some 7 years ago and it was absolutely delicious. BTW, did you pick up one of those “local made” Hawaiian shirts? Nope, I didn’t buy any shirts in Okinawa. They were interesting, but not really my style. Wasn’t the stop/start vehicle a trip? The car we rented in Spain last year kept stopping at every stop light…initially scared the heck out of me, conjured up memories of crappy first cars that broke down at the most inconvenient time. That mall is crazy how much it looks like mall in American. Interestingly….my oldest daughters name is Aeon. Looks like you are having fun..thanks for sharing. Thanks Marisa! Indeed the stop-start system on the rental car was interesting to drive. I was familiar with the systems already, so I wasn’t surprised. I wonder why such systems aren’t more common in North America. Trust the Japanese to come up with the most efficient car. They’re so good at everything, it terrifies me. Going to put Okinawa on my list for our triumphant return to Japan! It looks amazing! It’s a pretty fun place! I was surprised how affordable lodging was for a “resort” area. I was so excited for this trip report! Man I totally want to go now! It’s totally on my bucket list- now I want to go even more when you say that the beaches are deserted. Was the water warm? Did you meet any Centaurians? Interesting that the diet is mainly tofu, vegetables, and seaweed. I’m surprised there’s not more fish options since Okinawa is surrounded by ocean. The water was fairly warm (for October at least), but I wouldn’t call it “hot”. We didn’t meet any Centaurians, but there seemed to be plenty of old people around! Many of them we saw sitting and contemplating a sunset or beautiful distant view. Glad to hear you loved Okinawa. We have included in our itinerary to Japan later this year. We are only on the island for 4 days (2 at a resort and 2 in Naha to explore the town). Do you think it’s necessary to get a rental car? 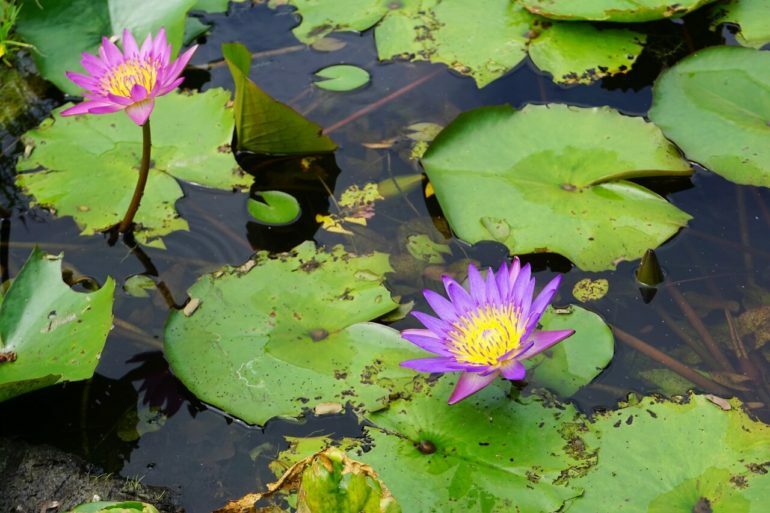 We were going to try to avoid getting one, as we assumed we would just enjoy the amenities at the resort and the beach there, and around Naha it seemed like it was pretty accessible via public transport and walking.